With the significant programme of change announced by the Government in England Apprenticeships have never had such a high profile. Responsibility and opportunity have firmly been placed with employers and as such many businesses, providers and awarding organisations are looking to better understand the whole landscape of apprenticeships. We have a unique understanding of all things apprenticeships with a team of experts who have been involved in designing and advising on apprenticeships for over 10 years in the food and drink industry. As a company, we work across all 4 nations, meaning we have a UK wide perspective of the needs and challenges faced by the industry and have helped numerous businesses to develop plans for apprenticeship implementation as well as supported awarding organisations and providers to develop solutions. These ISPs have been and are still open to all employers - there is no requirement to be a customer of the NSAFD and the more involvement from businesses the better. By having a range of small and large businesses across the UK involved in these ISPs, it gives us a greater understanding of the specific needs of our industry. If you are an employer and you would like to get involved in shaping the new apprenticeship standards, please get in touch! A key barrier mentioned by many businesses is the lack of information regarding what ‘good’ provision is available to deliver the new apprenticeship standards. To address this, the ISPs who designed the standards have also identified and assessed providers against the requirements of the new standards. Using an Industry Approved provider means that you can be reassured that they have met stringent industry benchmarks. 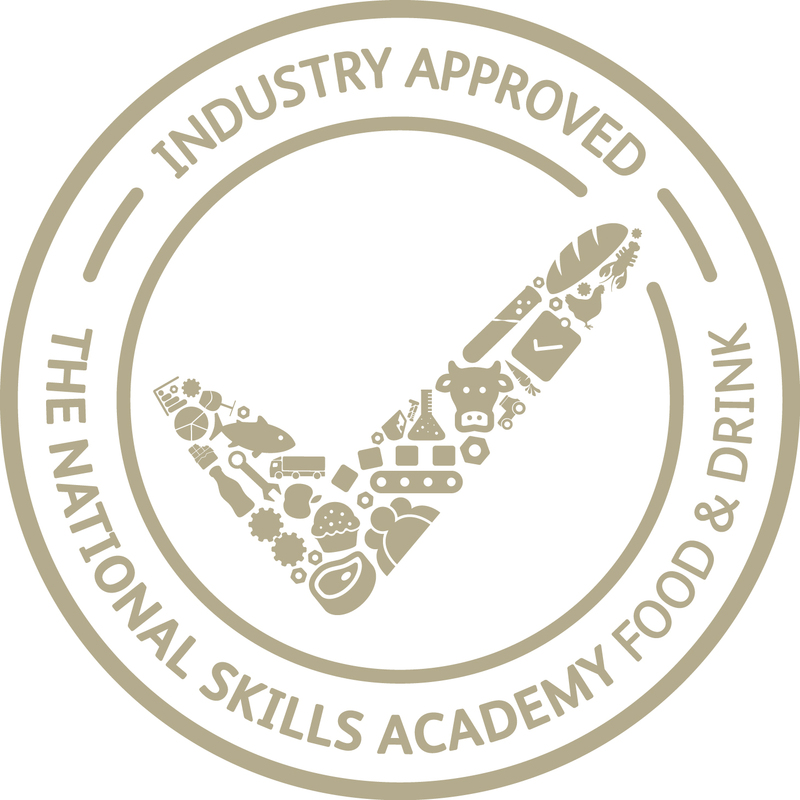 We believe that our network of Industry Approved Providers, who have been rigorously checked and quality assured by food and drink employers to deliver excellent training for each specific standard, can give your learners a great learning experience. But don’t take our word for it – it is your fellow employers who have selected them. Although there are many great providers available, we can help you identify and select the best fit for your company. Click here to find details on each of our Industry Approved Providers. In addition, if you want a greater level of support we can take your brief and liaise with training providers to provide a time and cost efficient solution by organising procurement processes including one day provider selection days. The Industry Approved Providers in our networks are supported with our CPD events and we encourage and support their ongoing development. If you are interested in becoming an Industry Approved Training Provider to deliver new apprenticeship standards, please get in touch! Please note all Industry Approvider Providers should be registered or in the process of registering on the RoATP before applying. We can help businesses understand what apprenticeships are available, how they can be delivered and most importantly, how they can benefit your business and your learners. We know all the food & drink apprenticeship standards inside-out and are the experts when it comes to supporting businesses with their specific skills gaps and shortages. However, it’s not just food & drink standards we can help you with, we can also support you with wider standards in leadership and management, accountancy, retail etc. We can help you understand how to implement the levy within your business and develop models to enable you to understand the costs involved and what options are available, regardless of the nation(s) your business sites fall into. The levy can be complex to navigate, however with our expertise we can help unpick the problems, detailing what your obligations will be, making the rules and regulations simple to understand and also explaining what the risks are and how you can minimise them. Some NSAFD services are charged for and can be purchased either stand alone or as part of a business membership service. We do not offer end point assessment however we have supported industry to develop the assessment plans for the standards previously mentioned and we can support organisations wanting to offer end point assessments. Our sister organisation Occupational Awards Limited (OAL) does offer end assessment and is the industry expert at the forefront of developing end point assessments. We do not offer qualifications but we have worked with the food & drink industry to develop the curriculum for them. Many of these new Apprenticeships contain mandated new qualifications – designed by industry to deliver the key aspects of the apprenticeship standard. The specifications that awarding organisations should use to develop their own version of these are listed here. These gateway qualifications are required to be undertaken in order that the learner can progress to their end point assessment. Our sister organisation OAL, who are the industry experts in food and drink qualifications, has been at the forefront of ensuring that the industry has the necessary qualifications in place. Please note that we can support other awarding organisations who want to develop qualifications.